Tim Hunkapiller, Ph.D., Founder, President and Chief Scientific Officer. Dr. Hunkapiller received his Ph.D. from the California Institute of Technology in Molecular Biology, and most recently has held a Research Assistant Professor appointment in the Department of Molecular Biotechnology at the University of Washington. Dr. Hunkapiller's research focus has included molecular immunology, evolution, computational genetics, comparative genomics and he is an expert on the genetics, genomic organization and functional diversity of the immune system. He has also been involved in bioinformatics, algorithm and database development, and experimental process optimization, for 20 years. While at Caltech, Dr. Hunkapiller originated the model for the automated, fluorescent DNA sequencer. The manifestation of this idea in products such as the ABI 3700tm and the MD Megabasetm sequencers catalyzed and enabled the completion of the first drafts of the Human Genome. He continues to work with Applied Biosystems on improving the throughput and quality of data from these instruments and their associated chemistry. 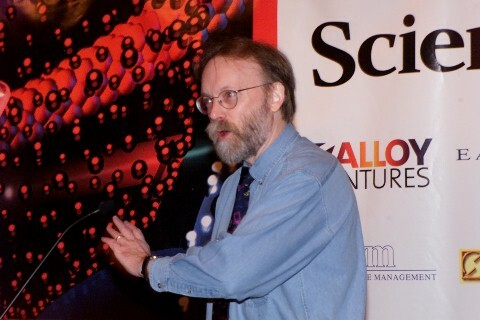 Dr. Hunkapiller also developed the first operational special-purpose computer hardware to accelerate the analysis of biological sequence information. This work led to the development of the world's fastest sequence/profile comparison engine, the Paracel Genematchertm. This instrument is in place at major pharmaceutical, biotechnology and genomics companies that work in the target discovery and validation process. His group is currently working to integrate the signal processing power of the Genematcher with new high-throughput MS technologies aimed at the emerging proteomics arena. Dr. Hunkapiller has served as an advisor to a number of biotechnology companies as well as technology companies servicing the biotechnology and pharmaceutical industry. These efforts range from helping with SNP association studies for target discovery in breast cancer to the application of novel computer technologies in intelligently searching very large, unstructured text sources to improve intellectual property analysis. James Candlin’s professional focus is on the definition and development of informatics systems and products for the life sciences industry. His particular expertise is in bringing an applications and end-user orientation to software design and development. This is critical for successful definition and deployment of successful bioinformatics tools, and is inherent in the value offered in our services. Prior to joining discovery biosciences, James Candlin was at Applera Corporation for twelve years, where he had several key bioinformatics roles. At Applera’s Applied Biosystems division, he led the Data Products Group, which was responsible for the initial development of the software products for sequence analysis, sequence assembly, genotyping and primer design. Subsequently he was responsible for leading co-development with AB’s software partners and for managing custom application development. His most recent Applera position was as Director of Bioinformatics of the Paracel division of Celera Genomics. In this role, he was responsible for introducing an applications and product focus to Paracel’s core computational technologies, and for defining new products and custom applications in similarity searching, base calling, comparative sequencing, sequence assembly and gene annotation. Earlier experience as a software engineer in the mechanical and electronic engineering industries provided a foundation in software design, development and project management which James Candlin now applies to the life sciences. He has a B.Sc and a M.Sc. from Bristol University in Mathematics and Physics, and an M.S. in Computer Science from Santa Clara University . Josh Duberman, Chief Information Consultant. Josh Duberman has a Masters in Library Science (MLIS) and16 years information research experience, working for SRI International and Perkin-Elmer (now Applera). He most recently was managing partner of PivotalInfo, a data retrieval and research consulting firm. He is an expert in the technologies and methods of information retrieval with a particular expertise in intellectual property and prior art analysis. He also has a BS in Chemistry with 7 years lab experience in analytical chemistry as a scientist at Lawrence Berkeley Laboratory and Chevron Research. Danielle Sanine, Founder, Director of Operations and Human Resources. Ms. Sanine managed Dr. Hunkapiller's research lab at the University of Washington for five years before leaving to help start Discovery Biosciences in 1998. Prior to her employment at the UW, she was the Systems Manager in the Department of Electrical Engineering at the California Institute of Technology. Earlier, Ms. Sanine held the position of Automation Coordinator at Delta Air Lines. Ms. Sanine has BA degrees from both the University of Santa Clara and the University of Washington. She serves on the conference committee for Interworks, a technical computing organization.